Groups › WILD AFRICA (2/day, please no series of same subjects) Nothing Man made!! 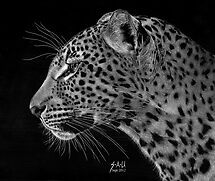 Photography & Artwork of natural landscapes,wildlife, plantlife and insects indigenous to Africa. This continent, surrounded by the Mediterranean Sea to the north, the Red Sea to the northeast, the Indian Ocean to the southeast, and the Atlantic Ocean to the west, is a photographer’s paradise. The 54 sovereign states, including Madagascar and various island groups such as Comoros, Mauritius and Seychelles offers the African Nature and Wildlife Photographer endless opportunities to capture the most spectacular scenery of landscapes as well as animal and plant life on earth. The African plant life is diverse and abundant of which some parts are called “floral kingdoms”. Some of the most breathtaking landscape scenery is to be found on the continent. Whether it is mountains, savannah, deserts, coastlines, jungles or lakes and rivers…..it is simply magnificent. Africa boasts perhaps the world’s largest combination of density and range of freedom of wild animal populations and diversity, with wild populations of large carnivores such as lions, hyenas and cheetahs and herbivores such as buffalo, antelope, elephants, camels, and giraffes ranging freely on primarily open plains. It is also home to a variety of “jungle” animals including snakes and primates and aquatic life such as crocodiles and amphibians not to mention birdlife and all the bugs such as insects, arachnids and centipedes. Africa also has the largest number of megafauna species such as especially elephants, giraffes, hippopotamuses and rhinoceroses on earth. This Group’s inception date: 22 September 2010 by Kobus Olivier, since retired. Work submitted by hosts will not be featured unless one of the group members is choosing the features as part of a challenge reward, however hosts may join in the challenges as these are voted on by members.